Rocky Balboa Spin-Off Creed Reportedly Moving Forward – Dream or Reality? Deadline has broken what they call an “exclusive” story about the impending production of a Rocky spin-off film, Creed, that will center on the grandson of the late, great Apollo Creed. Deadline writer Mike Fleming Jr. has included numerous details in his story, but until I hear confirmation from the only source that truly matters – Sylvester Stallone himself – I’m not holding my breath. 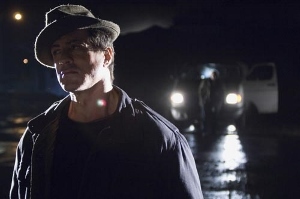 Stallone has repeatedly insisted that the acclaimed 2006 Rocky Balboa was the final chapter in the character’s saga. But this spin-off would be a different beast altogether, for better or worse, should it come to fruition. Fruitvale Station director Ryan Coogler is reportedly attached as director. Stallone will supposedly reprise his signature role, this time training Creed’s grandson. With Expendables 3 going into production, the ever-busy Stallone hasn’t issued any statement on this, one way or the other. My initial reaction to the news was, “No way.” Deadline reports that Stallone will co-produce but the screenplay is to be written by Coogler with someone named Aaron Covington. If this is true, it will be the first time Stallone has ever not written a Rocky film himself. Considering he was nominated for an Oscar for his original screenplay back in ’76 and that the films have usually had deeply personal parallels with Stallone’s real life, I’m not sure I would like to see him hand those reigns over to outsiders. Stallone was just at Comic-Con promoting his upcoming Arnold Schwarzenegger team-up, Escape Plan. Wouldn’t that have been a logical platform to at least mention the plan to bring Rocky back to the big screen yet again? The fact that Stallone explored Rocky’s non-boxing/training-only possibilities in the disastrously-received Rocky V makes the Creed story even harder to take at face value. Would Stallone really want to evoke memories of a film he has practically disowned (and all but ignored in Rocky Balboa)? Then again, I suppose it would a chance to right the wrongs of that lowest-grossing entry in the series. Like millions of Rocky fans around the world, I eagerly await an official confirmation (or denial) of this project’s existence.